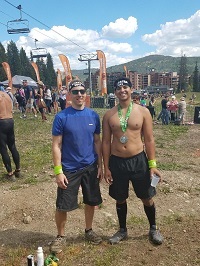 Adrian and Chad took the challenge of completing the Breckenridge Spartan Beast. 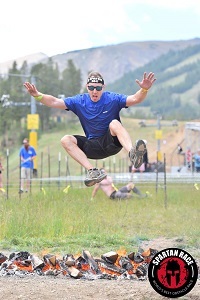 This consisted of obstacles placed throughout 13 miles of mountain terrain that the racers had to complete. 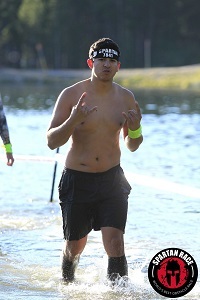 From jumping over fire, to climbing walls, to crawling under barbed wire, Adrian and Chad crossed the finish line safely. 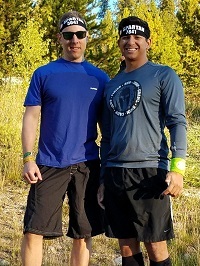 Chad's finishing time was 3 hours and 27 minutes and Adrian finished just behind at 3 hours and 31 minutes. 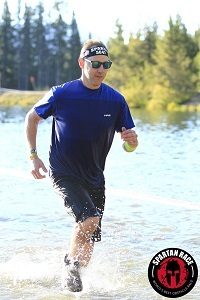 We love puting our practices into action, and completing races like these definitely allow us to do that! This newsletter contains information on golfing with pain and on our FREE Golf Pain Workshop that we will be offering in October. Don't forget to visit and follow us on Facebook, Instagram, Twitter, Pinterest, and YouTube! Physical Therapy Connections, P.C. 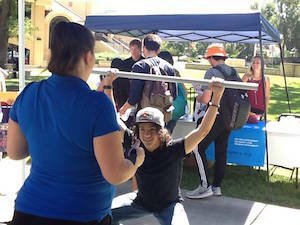 attended PCC's Fitness Fair on September 13, 2017. 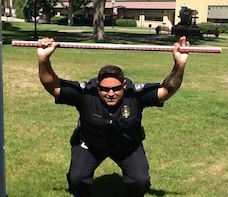 We were able to raise awareness on how to perform the perfect overhead, deep squat, and why it is a good test to determine areas of weakness in your body. Chad Clark, PT and Stephanie Nolting, DPT also educated the community on the importance of Massage Therapy offered by Michael Coffee, LMT at PT Connections, and how to prevent low back pain. 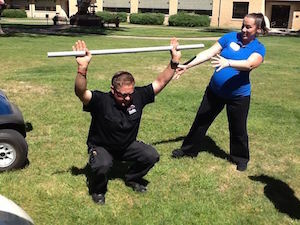 Even though Stephanie was one day prior to having a baby at the PCC Fitness Fair, she was still able to demonstrate to the students how to get low in their squat! 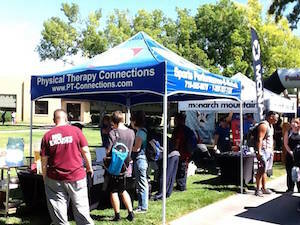 Education is key to understanding where the root of your pain is coming from, so we love taking opportunities such as the PCC Fitness Fair to educate as many people as we can the importance of Physical Therapy! For more information on future events that we will be attending, like and follow us on Facebook, Instagram, Twitter, Pinterest, and YouTube! 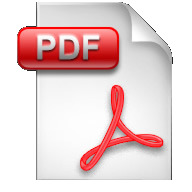 Also, be sure to visit our website for tons of articles and sources that you can use to educate yourself on your pain. Also, We would like to congratulate the winner of the free half hour massage that was drawn at this event: Cheyenne Moran! Congratulations from all of us at PTC! Why Do I have Pain When I Golf? Many people have played a round of golf with weakness, balance issues and even pain and do not know what they are doing wrong. Playing with these issues can lead to bigger problems in the long run. Physical Therapy Connections, P.C. has specific programs for you to not only improve your swing, but do it pain free. 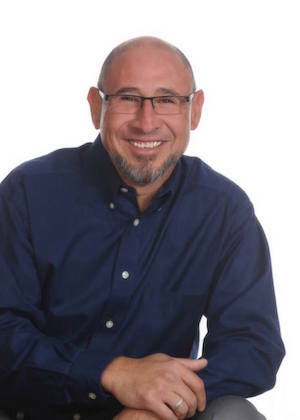 Max Madrid, LPTA is a specialist in helping golfers find the root of their pain and improving their game. He will be hosting a FREE Golf Pain Workshop on October 17, 2017. The time and location will be announced on our Facebook, Istagram, Twitter, and website in the next week. You can also call 719-565-6678 to reserve your spot. Click here to find out more about your golf pain! 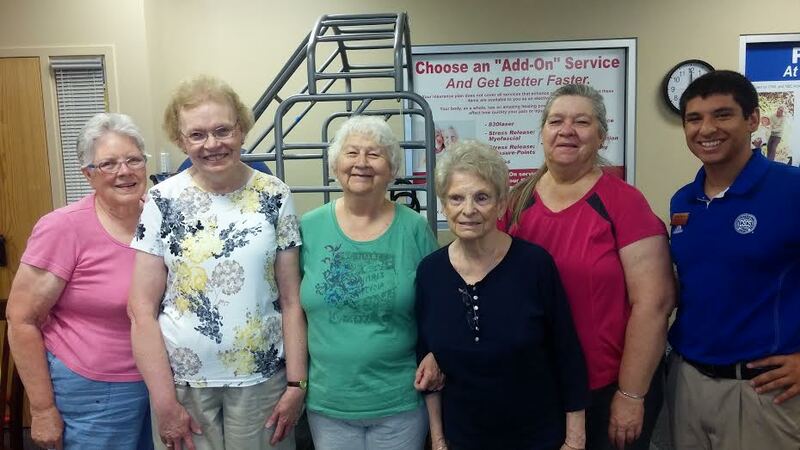 It is important to us to stay connected to our previous patients and to the community. So this year, we want to hear your opinion! At PTC there have been some patients asking us what we are going to be for Halloween. We want to know what you would like to see our team dress up as on Halloween. We will be having a poll in the upcoming weeks on our social media platforms such as Facebook, Instagram, Twitter, Pinterest, and YouTube , so be sure to follow us and vote when polls open! Golf Pain by Physical Therapy Connections, P.C.